It was in May 2006 that Mrs Muriel Pinto and her son Capt Allwyn Pinto handed over their ancestral house in Paliem-Uccassaim, which was to become the premises for Margaret Bosco Bal Sadan, to the Salesians. The home emerged as a cry to afford protection in a home away from home environment, rather than in a government institution, for troubled boys. In January 2007, the first eight boys moved into the shelter at Paliem. 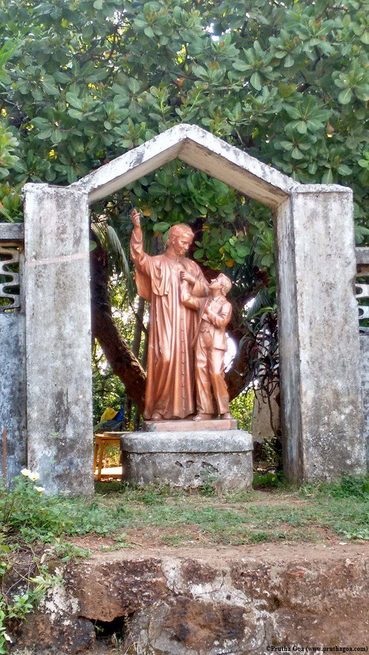 Margaret Bosco Bal Sadan (MBBS) is named eponymously for St John Bosco’s mother, who was a great help to him during the early days in his work with underprivileged boys. The name was interestingly the result of brainstorming by Fr Arvind Severes and Fr Wilfred Sequeira, who were the first in-charge and administrator, respectively, of the home. They decided that it was befitting to name the home after Don Boscos’s mother as she had been declared Venerable in 2007, and on a lighter note they felt it would resonate with the boys as it would remind them of the Bollywood movie Munnabhai MBBS. Today, contact points allow the Salesian priests information regarding boys that need aid. These are then referred to the Child Welfare Committee, Goa, and then transferred to MBBS. At times, the Child Welfare Committee and the Juvenile District Board will contact MBBS directly. Margaret Bosco Bal Sadan is registered under the Juvenile Justice Act and it is mandatory for a case to be referred to the Child Welfare Committee before the priests at MBBS become accountable for the child. The home for boys is a sanctuary for orphans and boys from single parent or dysfunctional families. Fr Joe Fernandes is in charge of the overall functioning of the shelter, while Fr Kim D’Mello is the administrator and oversees the academic progress of the boys. Fr Kim is also responsible for the Youth at Risk Commission of the Salesian province of Panjim and deals with youngsters with serious problems such as drug addiction, etc. The supervision of the boys’ daily routine of chores, school homework, games and prayers is listed under the Warden, Br Christovan Cardozo’s, duties. There is domestic staff who looks after the cooking and cleaning of the premises, as well as a past pupil, Badshah Shaikh, who is a student and a choreographer and assists with the warden’s duties. MBBS has a regular flow of volunteers from Western countries who involve themselves with the children in the areas that are their strengths. 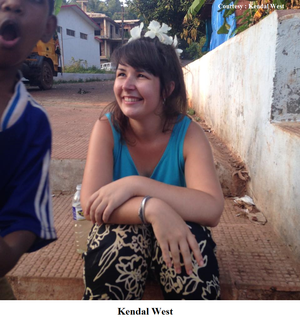 Kimberley Otter and Kendal West from the UK are their present volunteers who have come through Volunteering Goa Limited. Kimberley has specialised in working with differently abled persons and Kendal is a fine arts graduate, and hence they work with the children giving the best of their specialisms to them besides seeing to the boys’ studies and overall development. Local volunteers like Juliet D’Souza and Josephine D’Souza come regularly twice or thrice a week to teach English, maths, Marathi, etc. Occasionally, college students come along to do their projects which require them to work with underprivileged children. For about thirty days, children are grouped according to their abilities to work with these students. Forty three boys from eight to seventeen years of age reside at the home right now. Since most of these children are prone to emotional and psychological distress, counsellors from Carreno Counselling Centre, Don Bosco, Panjim, come in twice a week for sessions with them. The boys are taken to St Mary’s Counselling Centre, Mapusa, as well for the Personality Development Programme of the centre. There are doctors such as psychiatrist Melvin Silva and paediatrician Varsha Amonkar who cater to the alleviation of all that is ailing the boys’ psychologically and physically. 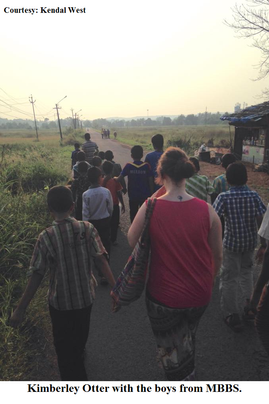 The children have a schedule of studies, chores, recreation and prayer, interspersed with their meal times. The three schools they attend are Holy Cross Convent High School, Bastora; Goverment High School Namoshi Guirim and Government Primary High School, Paliem. ‘Basically good morals and values are given to the kids at the home. We have kids of all religions. During prayer time we have general prayers,’ says Fr Joe. The evening prayers by the boys are spontaneous and from the heart. Fr Joe says, ‘By themselves they animate the prayers.’ They have a ‘goodnight talk’ to accompany the prayers where the Fathers tell them an inspirational story or discuss values with them. During the holidays about 14-15 boys with serious family problems or without parents are kept back while the rest go back home. Fr Joe grins as he recounts the fact that some of the boys cook up excuses to stay back at the home to participate in the exciting programmes held there for the boys in the vacation period. As the boys are not allowed to stay in the home after they have turned eighteen, those that decide to work will be provided a house they can rent and stay in. Those who choose to go to Don Bosco College will be accommodated in the college hostel. 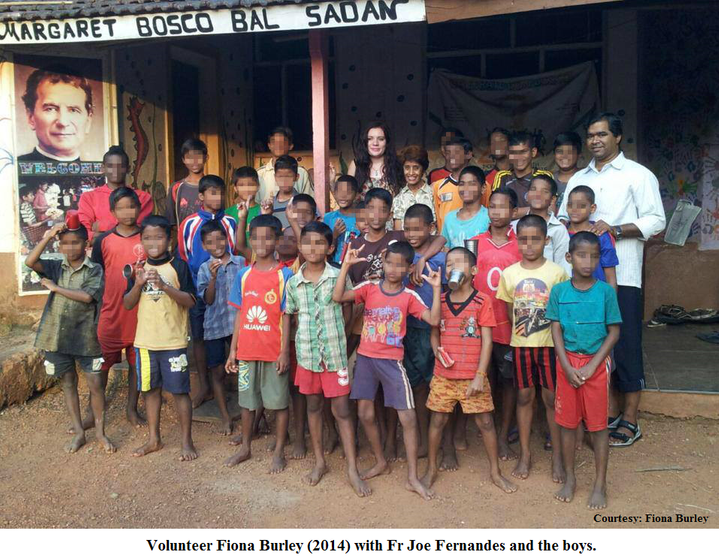 The Salesians will make one year’s rations and rent available to them. In the second year they will have to pay for either the rent or the rations. The third year will see them wholly responsible for themselves with the Salesians keeping constant contact to ensure they are safe and well provided for. The first batch of boys to go out into the world comes out this year and then this plan will be set into action to anticipated positive results and a great future ahead of them.